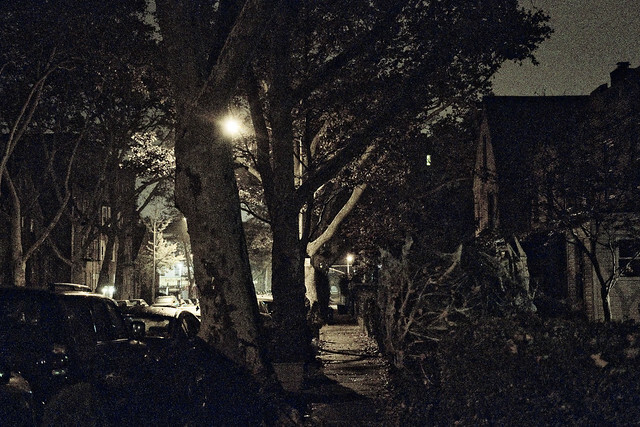 Night time in Queens, in today’s post. This week, you can expect exactly zero newly minted shots from this humble narrator. One part of the reason for that is that Xmas week postings are (annually speaking) the ones with the lowest readership at this – your Newtown Pentacle, the other is that due to the gloom, wet, and cold last week – I wasn’t exactly outside a whole lot. As is my habit, a few shots were selected from the archives for presentation, your consideration and possible amusement. That’s Sunnyside Gardens in the shot above, shot sometime in the late night or early morning, if memory serves. Point A in my life is Astoria, Queens. All journeys start at “Point A,” for me, and end there as well. 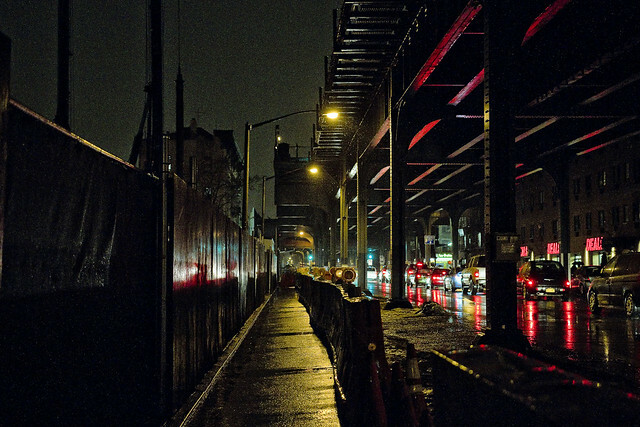 Pictured above is 31st street beneath the elevated tracks of the Subway, on a drizzle choked evening. 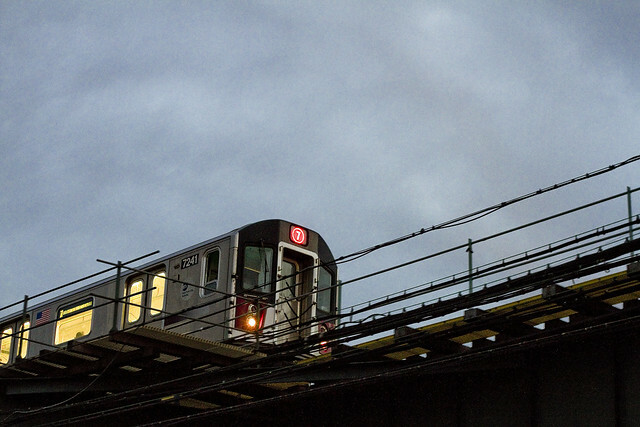 Speaking of the elevated, I stand by my assertion that the 7 line is the most photogenic of all NYC’s Subway lines. That’s her, crashing through LIC.